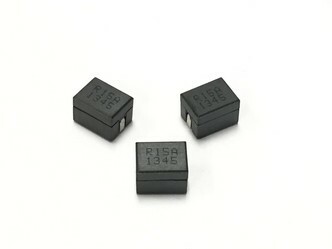 inductance range of 120.0nH up to 300nH. High current of up to 94.0A (20% Roll off). 10.41 x 8.0mm foot print with 7.5mm max height. Inductance Range of 120nH to 300nH. Custom values are welcomed. High current output chokes, up to 94 Amp with approx. 20% roll off. Low Profile 7.5mm Max. height . Foot Print 10.41 x 8.0 mm Max.